Means Of Locating Leak Sources Or Moisture Build-Up Trapped Under The Roof Membrane. 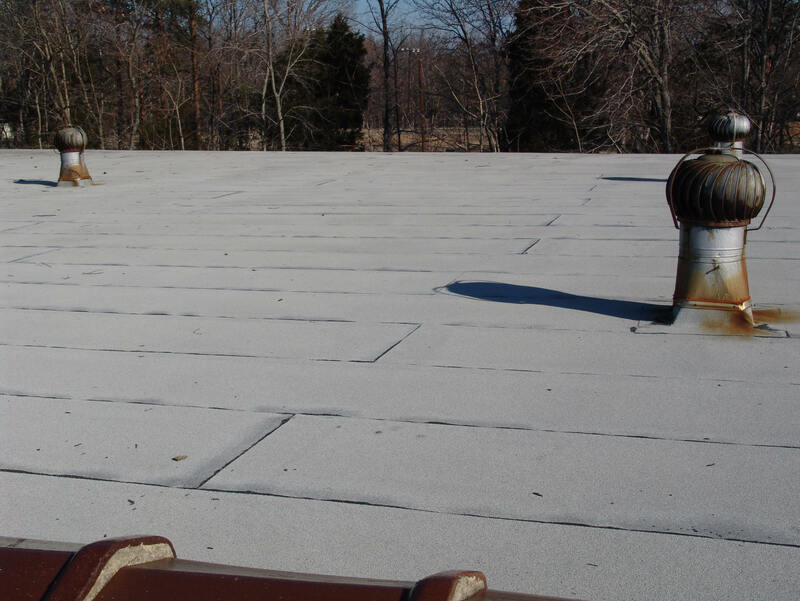 This Can Cause Premature Roof Failure And Unnecessary Maintenance Cost. The Green And Yellow Represents Moisture Under The Membrane. The Blue Areas Represent Normal Dry Insulation. The Leaks Were Caused By The Vents Not Being Properly Caulked. 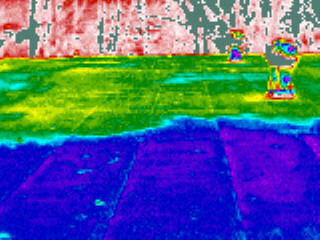 This Moisture Will Not Only Blister The Roof And Cause More Leaks, But Will Lower The R-Value For The Insulation.